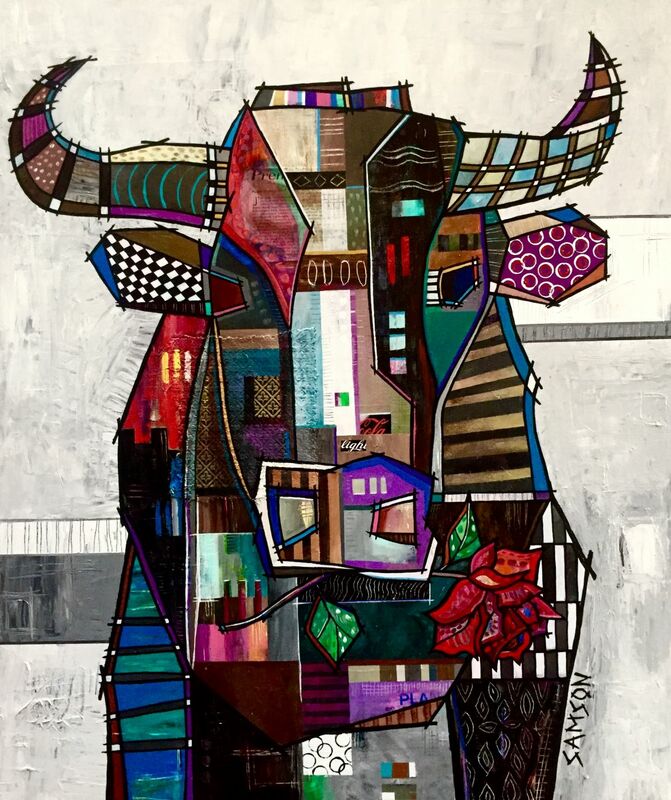 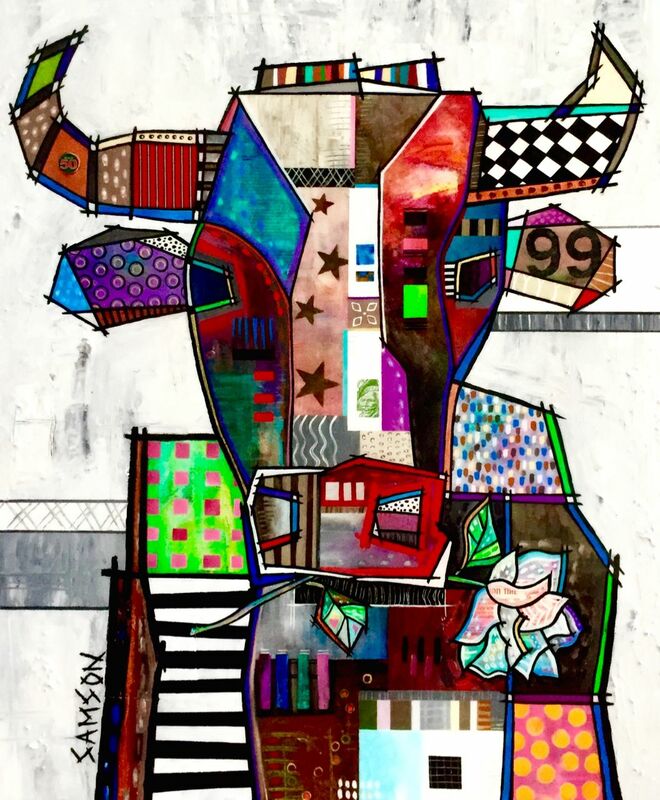 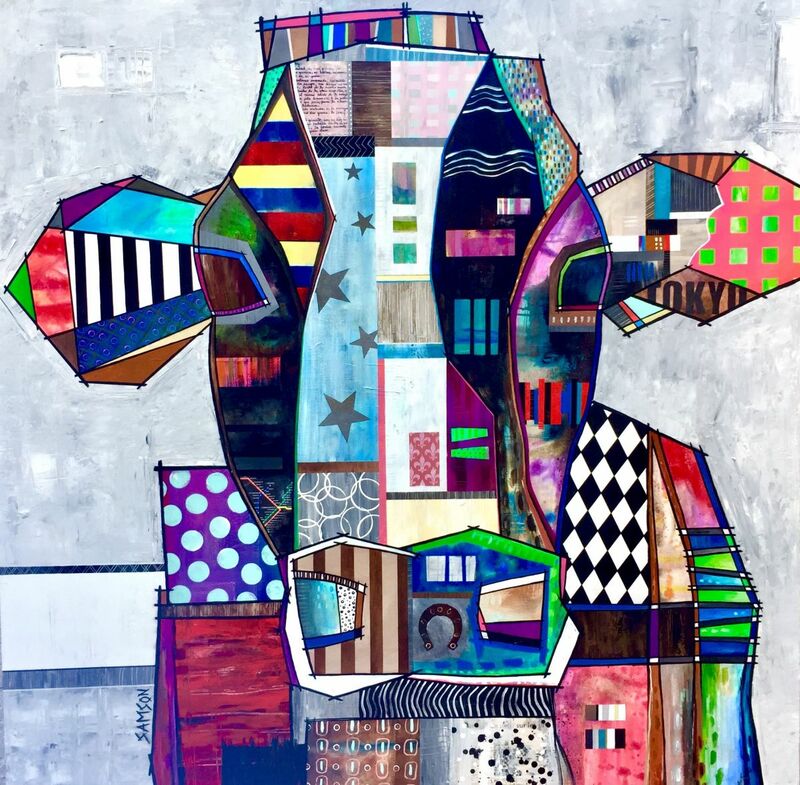 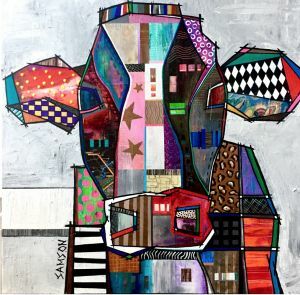 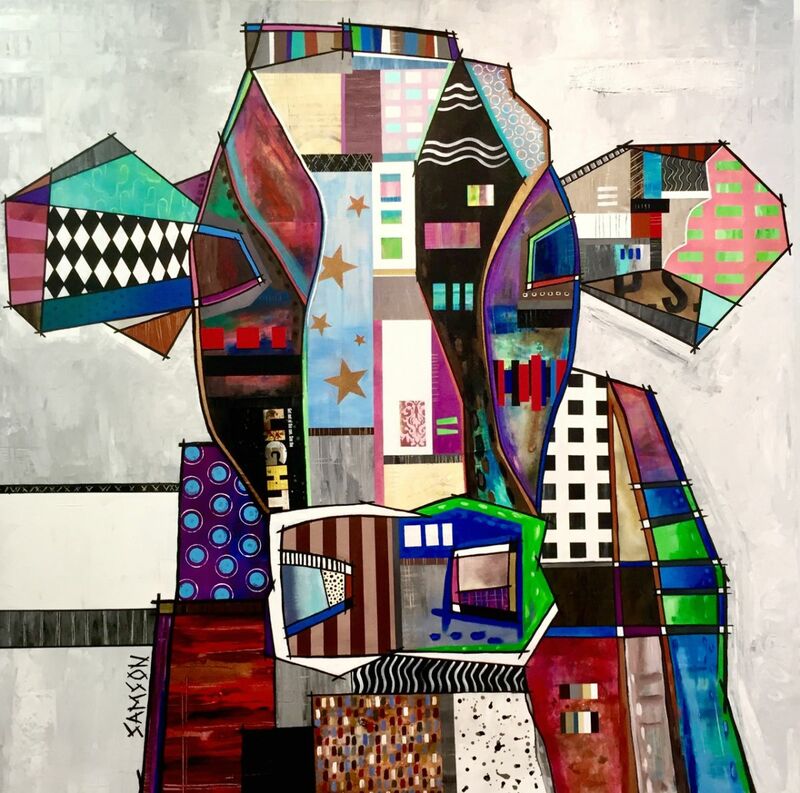 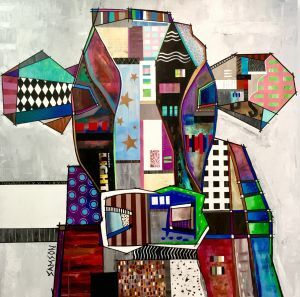 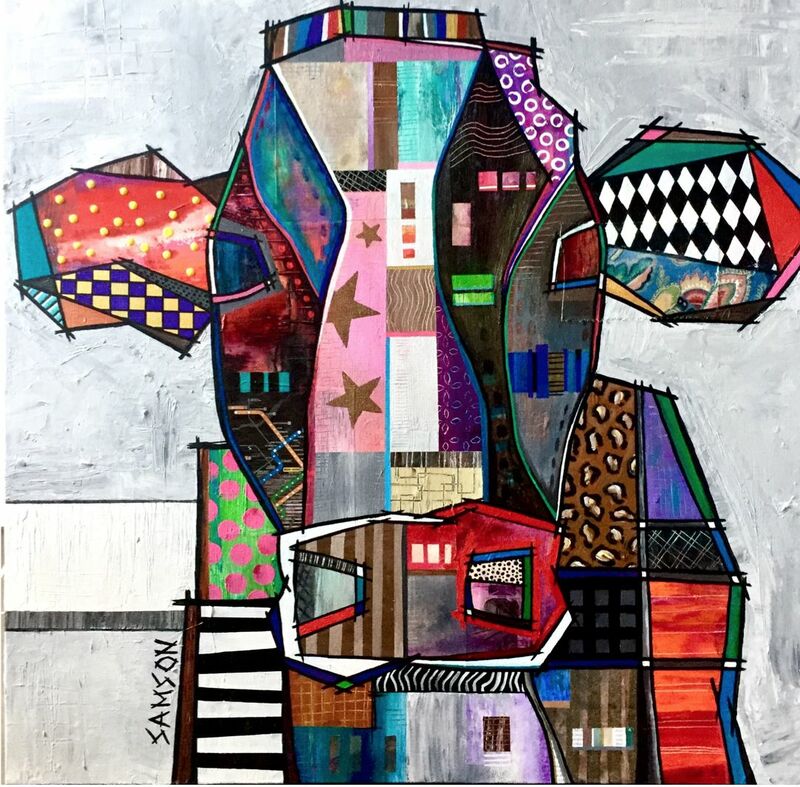 The cow paintings of the Montreal based artist Marc Samson strike by their punch as well as their angular and expressive style. 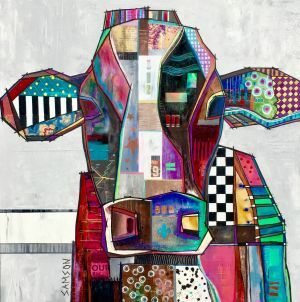 The modern and industrial genre consists in establishing a coherence between a multitude of patterns in order to make the eye travel on the canvas. 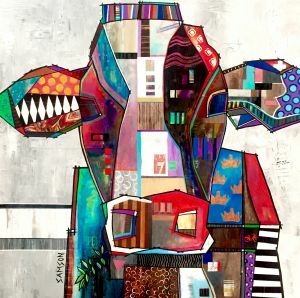 The Quebec contemporary artist uses many mixed media to create unpredictable and eccentric effects. We can also appreciate his unique way of accentuating his muse with his dynamic and prismatic brush strokes versus a much more subdued setting.